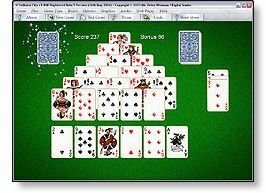 Click here to download a self-extracting executable file (.exe) that will install Solitaire City to your PC. Once the file has downloaded, click on Open and follow the on-screen instructions. If you've already purchased a Registration Key for an earlier version of Solitaire City then you can upgrade to v for free simply by downloading the above Trial Version and installing it over your previous version. Your Registration Key will automatically unlock the Trial Version and convert it into the Registered Version.